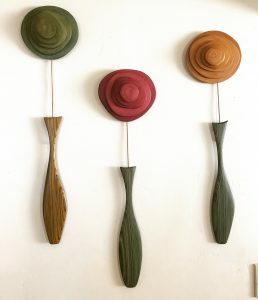 We are honored to have pieces of Carlo’s carved wood art warming our walls of our Inn. Our newest favorite? “3 Vasi”, three beautiful carved flowers in vases that really do seem to ‘float off the wall’!